Let’s get a few things straight for the Kiwis. It snows in Australia too. 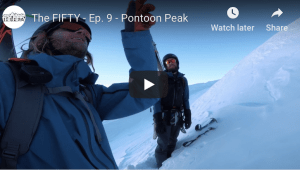 Ask a New Zealander what they know about Australian ski fields and they’ll snort out loud while proclaiming better snow, bigger mountains and world class skiing. It has worked for them, so far, as fifty thousand plus Aussies cross the ditch to schuss their tush on the Southern Alps. But resort statistics tell the real truth about whose is bigger, longer and harder. Longer? No brainer, Thredbo’s (www.thredbo.com.au) 5.9kilometre Super Trail beats Turoa’s 4kilometre top to bottom. Harder? Skiing ice is never easy and both countries get their fare share of that when the weather goes wry. Mt Buller’s (www.mtbuller.com.au <http://www.mtbuller.com.au> ) chutes would certainly get the gong for Oz but Treble Cone’s Motatapu Chutes blow everyone out of the water on an international level. I’d like to say they’re not ‘in bounds’ but I’d be lying. The average mass-market holiday skier doesn’t care about all this beating of snow chest. 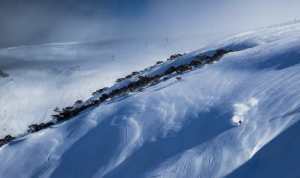 They want a blue groomed run and most resorts in Australia and New Zealand can provide these well. It’s only when one steps out of bounds that New Zealand comes into it’s own. Heli skiing (www.southernalpsheliski.co.nz), cat skiing, backcountry hiking to pitches and drops, glaciers, chutes and open bowls that make them the clear and absolute winner. If this was a race, then we’d have to compare Winter Olympic medals and that little competition will end in Kiwi tears. 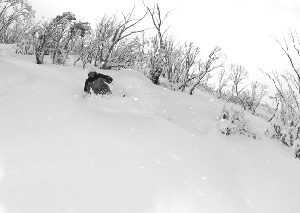 You don’t get tree skiing in New Zealand, you do in Australia under the world’s only snow gums. You don’t get ski in ski out villages in New Zealand either. There’s nothing like Falls Creek’s pedestrian only ski village with thirty odd bars and European style ski lodges but then you can’t compare Jindabyne to Queenstown without laughing out loud. As for the quality of snow, we’re both south of the equator people, and I sure don’t see any ski areas in either country hitting the three thousand-metre peak mark nor do I see a Siberian weather system. 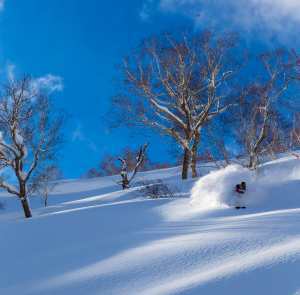 Moisture content is to be expected though I have skied pure dry Utah-esque powder at the end of July in Perisher, I’ve also skied Japan-esque dry powder in New Zealand in September. I’ve also skied ice, crud and slush in both countries but then again I’ve skied that north of the equator too. 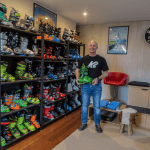 So for all you Kiwis gloating over your admittedly amazing early snow this season, stop teasing me with images of the marketing manager’s son, nephew or cousin frolicking in thigh deep snow on the resort lodge deck or I’ll start talking about Malcolm Milne, the first non European to win a World Cup ever in history. He was Australian.